Many Americans give little thought to earthquake insurance – after all, noticeable earthquakes don’t happen every day, and few places outside the West Coast need to worry about them. But you and your home may not be as safe you think. An earthquake could strike at any moment, and your regular homeowner’s insurance policy doesn’t cover damage from earthquakes. This means that if your home is damaged and is not covered by earthquake insurance, you’ll be forced to pay for repairs. 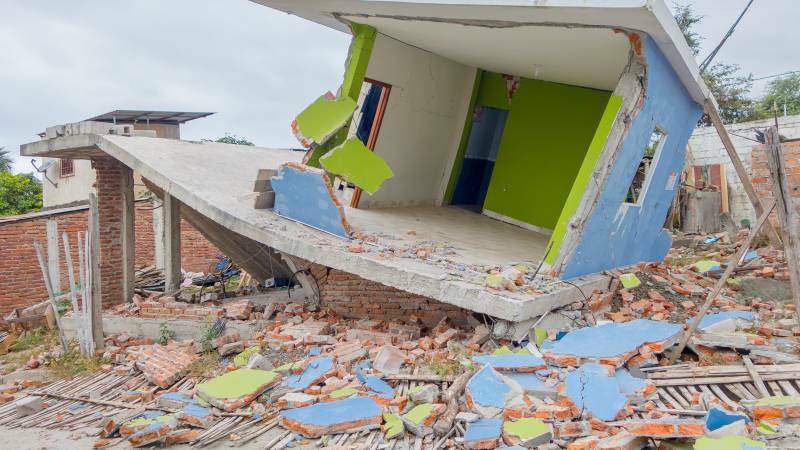 That’s why you need to know the risks of being involved in an earthquake and the reasons to consider purchasing earthquake insurance. Having an earthquake insurance policy in place is important for multiple reasons. According to The Guardian, the number of severe earthquakes is expected to increase in 2018 because of a slowing of the Earth’s rotation that happens periodically. Your standard homeowner’s insurance likely doesn’t cover the losses you could suffer in an earthquake, such as structural damage and personal property losses. Many more people in the U.S. live near fault lines than they might think. The United States Geological Survey released a study in 2014 that indicates people in 42 states are at a heightened risk of experiencing an earthquake within the next 50 years. In addition to California, Alaska, and Washington, 13 other states have a high risk of experiencing an earthquake of 6.0 or above, including states from Missouri to Hawaii, Idaho to South Carolina. The widespread fault lines across the U.S. make it important for you to consider earthquake insurance so you’re protected no matter where you live. If you live in a high-risk area such as California, Alaska or Missouri, you might already have earthquake insurance. However, you may be paying higher rates because you live in an earthquake-prone state. Bankrate reports that policies in California may cost $1.75 for each $1,000 in coverage. In lower-risk areas, a policy may cost as little as 50 cents for each $1,000 in coverage. No matter where you live, there are ways to save money on any type of earthquake insurance. In California, for example, homeowners can get a discount of 20 percent on their premiums if they retrofit their homes to better withstand earthquakes from the California Earthquake Authority. You may also be able to secure lower premiums if your home is made out of wood instead of brick or stone. Some insurers will reduce your premium costs if you live in a newer home or if you install metal straps to the roof and walls. Finally, installing sprinkler systems in your home may help to defray the costs of your earthquake insurance policy. You should also shop around to obtain quotes for earthquake insurance. Begin by talking to your insurance company to find out how much it would cost to add it to your existing policy. You should also compare prices and policies online, where you can commonly find deals for new policyholders. Getting earthquake insurance is important, and you should consider getting this insurance as soon as possible. NerdWallet reports that most insurers will not sell new policies within one or two months after an earthquake happens. Having coverage in place before an earthquake strikes can help you to protect your most important belongings. Remember, even if you don’t live on the West Coast, you may still be at risk of being in an earthquake. If an earthquake strikes in your area, your homeowner’s or renter’s insurance policy will not cover the damage that is caused by this type of natural disaster unless you have earthquake insurance. Without it, you may lose thousands of dollars in property losses and may have to take out additional loans to repair your home and to replace your personal property that is damaged in an earthquake. Protect your home before the worst possibility strikes with earthquake insurance. To get started, you can begin the search for the right policy online, where you can view different quotes, policy options, and protection levels right in one place. If you’re interested in finding earthquake insurance, start a search today.